When I heard that Lady Gaga (aka Stefani Germanotta) bought a $22 million estate overlooking Zuma Beach in Malibu, I kind of expected it to be something flashy and contemporary. I have to say I was pleasantly surprised to see it’s actually a more traditional French Provincial-style home designed by architect Steve Giannetti. Take a look! Steve Giannetti and his wife Brooke, who writes the popular design blog Velvet & Linen, are amazingly talented. The house was built in 2006 on nearly 6 acres. (you can see photos from the magazine at Cote de Texas). Time magazine named Lady Gaga one of the All-Time 100 Fashion Icons. She also made Forbes list of the World’s Most Powerful Women. The kitchen has a limestone island, a Wolf range, and a terrace with ocean views. There’s a “secret door” that leads to what the former owner called the Bat Cave — an 800-bottle wine cellar, home theater with bar, and a way cool vintage Brunswick Bowl two-lane bowling alley from the 1960s with original scoreboard. The property includes a barn for up to eight horses, a riding arena, and a number of pens and riding trails. In the documentary we see her celebrating when she gets cast in the remake of A Star Is Born. Lady Gaga has made her first California home purchase: a 6-acre estate across from Malibu’s Zuma Beach. The home was listed for $24.95 million this summer by The Agency‘s Santiago Arana. Property records show it was recently purchased under a trust for $22.5 million. 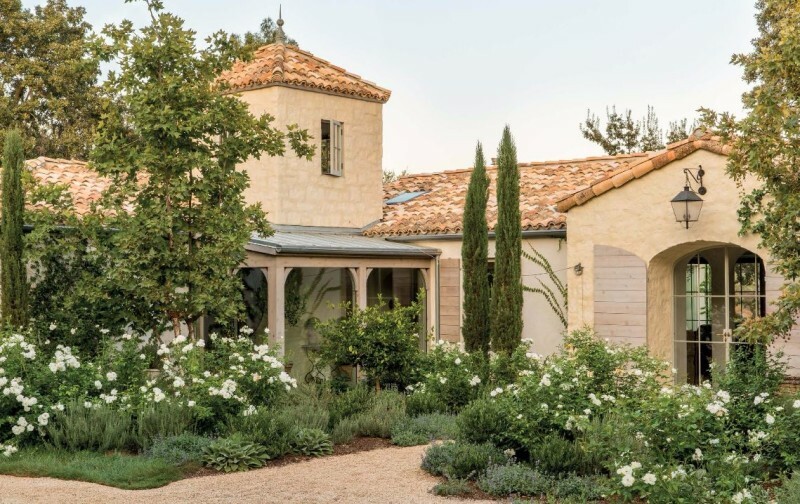 “This beautiful estate was inspired by traditional homes in the South of France offering breathtaking views,” the listing description stated. This house was a lot more traditional and neutral than I would’ve expected Lady Gaga’s to be. Based on the rooms we saw in her documentary, they haven’t changed much since these listing photos were taken, either. For more information about the equestrian estate and Steve Giannetti’s work, visit his website. I’d add a few pops of bright yellow or fuchsia here or there, but otherwise, it’s GORGEOUS/PERFECT. Love the taupe; so classy. Hope she doesn’t alter it much! Thanks for sharing. Very tasteful, but way too massive and greige for me. Restoration Hardware-ish, definitely. I do love the Giannetti’s Santa Monica house. Gorgeous! What an amazing property — and the view and grounds are marvelous as well. Perfect for implementing security, which I’m certain she’ll need (some “cray-cray” fans she has). I do agree with @Gwen, some additional added colors would be nice, at least in a few rooms, to shake things up a bit…. some more aqua, fuschia, lavender, chartreuse, or coral might be nice. This is so beautiful! I agree with what has been already said; it’s a bit too neutral. Also, I wouldn’t like having wall to wall carpeting in the bedroom. Otherwise, it’s perfect. That view! It’s true Julia, one might expect Lady Gaga’s home to be more colorful and over-the-top. Actually though, her off-stage personality seems much more humble and reserved than her on-stage persona. I admire her for speaking out about her struggles with eating disorders and mental illness. She seems to understand the influence she has on her fans, and by all accounts, is really good to them. I have a student who is a huge fan of hers, and he arrived very early for a concert, hoping to catch a glimpse of her. When she arrived at the venue, she insisted on getting out and speaking to the group that had gathered there. She hugged him and spoke to him individually for a few minutes. He described it as the thrill of a lifetime. What a nice story, Alie! It’s not at all what I would expect. I really like it but I would bring more of the outside colors to the inside. I love the kitchen but as someone who has been known to just topple over when standing still (that’s how I broke my ankle) I fear that those warming drawers (microwave?) would require me to have knee surgery. Maybe it’s the angle but it looks like the handles stick out pretty far. The bowling alley is so cute! Hi Julia, Wow this is beautiful and unexpected. When it comes to Lady Gaga you do expect something unusual. Thank you for sharing beauty. Regards Esther from Sydney. Ps I didn’t know what Monster High was I had to Google, and then my cousin in New York tells me one of her daughters will be going as a Monster High character. Hope you have a fun Haloween. What a gorgeous home! I love the earthy tones, and homely feel. I do agree with Gwen, a few pops of colour would lift the palette as well as some gorgeous indoor plants to add a life and clean the air! Be still my heart….. This is a truly beautiful home . These are the colors & features I love to build on but I too would add just a pop of color as well. 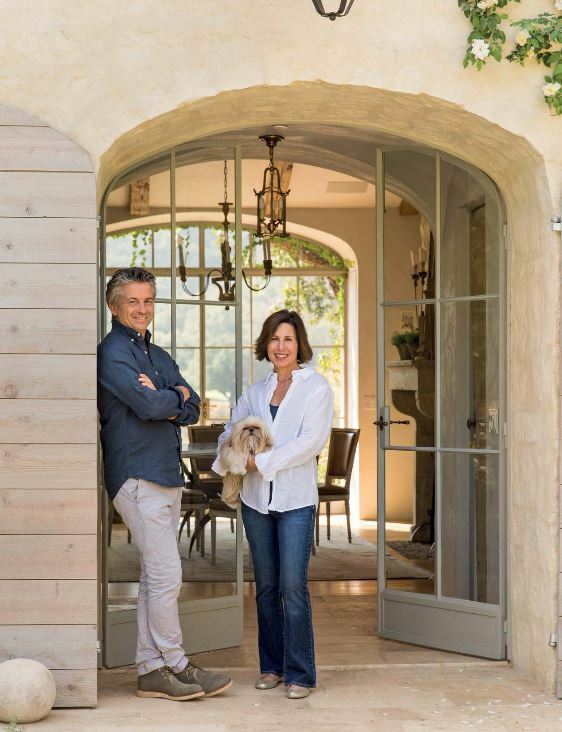 I have been following Steve & Brooke Giannetti’s blog also while they have been building their gorgeous home in Ojai California. It’s heaven on earth. The serenity & beauty is so comforting and their pets add to the happiness that you feel right way. They are 2 of my favorite designers (along with Kelly Harmon) and if I could ever pick a designer to build my dream home they would be the ones. 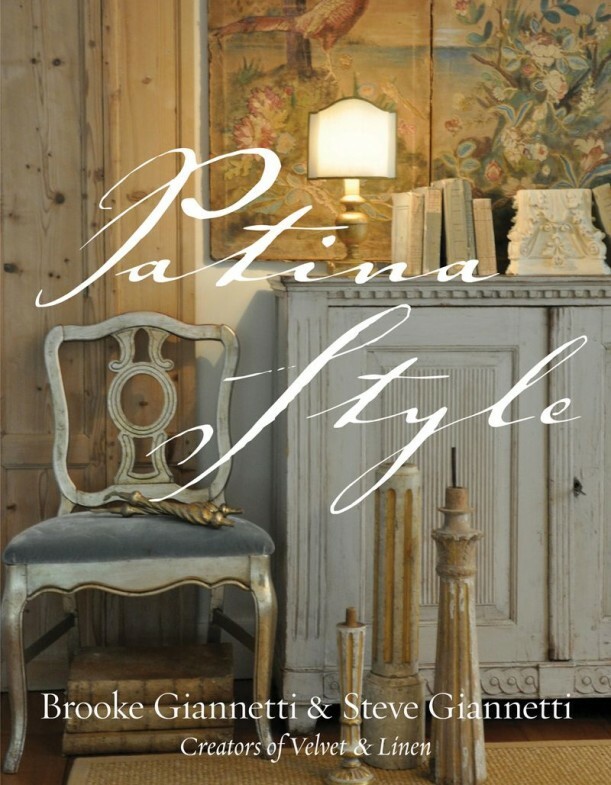 I agree — I love their style! I really don’t like anything about that house except the outside sitting areas. Even then I’d want some color. French farmhouse? How about a couple pots of geraniums. Thank you so much, Julia, for the beautiful post on Steve’s clients’ house and your kind words about our home. It is always an honor to have our work featured here!